In 47 months of bloody conflict on the Eastern Front in the Second World War, the Red Army evolved from a mostly beaten, collapsed entity to a fully functioning, flexible instrument of war. During this time the Soviets made great strides in perfecting their prewar theories on operational maneuver and the employment of mechanized forces on the contemporary battlefield. The Soviets combined wartime experiences with prewar theoretical background and completely reorganized their mechanized forces, tailoring them specifically for the conduct of successive operations across a wide range of situations, demonstrating remarkable flexibility and coordination at the highest levels of command. Such a transition came neither cheaply nor easily. The Red Army’s tank and mechanized force structure of 1944 was the result of fierce battles and bloody failures against a skilled opponent, and it represented the best organization of Soviet resources and expertise that the Supreme High Command (Stavka) could manage. The changes in Soviet force structure during World War II created a more flexible, balanced, and combat worthy Red Army and were the result of Stavka studies based on prewar doctrine, wartime experiences, and the technical and tactical capabilities of the Red Army. As these capabilities increased, the Red Army’s battlefield performance improved within the framework provided by the new, more effective organization. To understand the Red Army of the Second World War, it is first necessary to understand the intellectual origins of its wartime doctrine, formed in the 1920s and 1930s by a host of prominent Soviet military thinkers. Force structure must have its origins in military doctrine, and for an organization to function properly, the doctrine must be sound. The Soviets were fortunate, for the experiences of the First World War, the Russian Civil War, and the war with Poland all created an officer corps with a great deal of combat experience, that went on to create what was probably the most theoretically advanced doctrine of all the great powers of World War Two. Following the Russian Civil War, the Soviet military finally found time to reorganize. While the Red Army began a program to standardize its equipment and organization, questions arose about the nature of the military in the Soviet Union. The Red Army created a number of high command-level training schools, for the practical and theoretical training of its officers, who universally had a great deal of combat experience to draw upon. Throughout the high command, many issues were hotly debated, each having its own impact on the future image of the Soviet military. To exploit a breakthrough of an enemy’s tactical defensive zone, PU-36 advocated use of mechanized or cavalry formations, inserted into a penetration sector through a breach in the enemy’s line and used to exploit the success of the assault group. Pursuit was to be executed across as wide a front as possible, to maintain constant pressure; the broad front in the pursuit would be characteristic of Red Army offensives in the later years of the war with Germany. 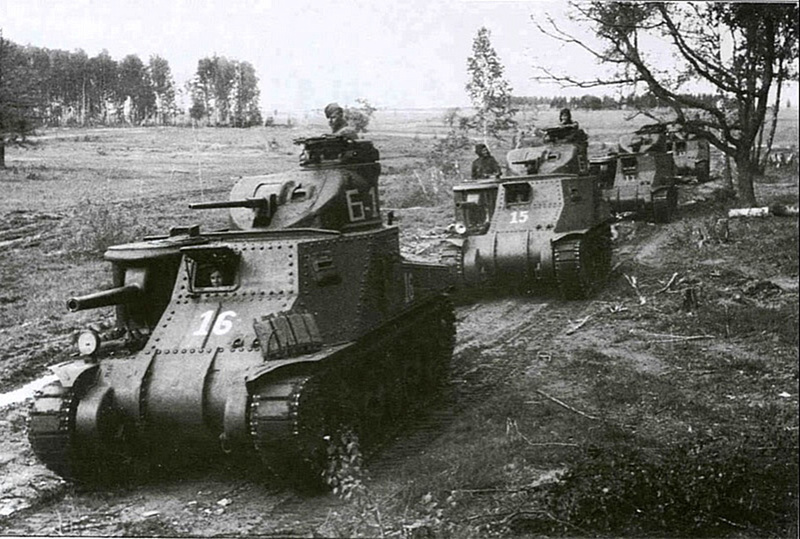 PU-36 proved to be the basis for the Red Army’s Second World War operational doctrine, and it heavily influenced the organization of the mechanized and tank forces. The Soviets relied upon assault groupings, composed of infantry heavily reinforced with supporting artillery and armor, to break through enemy tactical defenses. Upon breaching the enemy line, the higher command would introduce its mobile group into the penetration with the intent of quickly exploiting the breach into the operational depth of the enemy held territory. The emphasis on high mobility meant that this mobile group would be very well equipped in tanks and self-propelled artillery, as well as motorized infantry. Forward detachments would facilitate movement of mobile forces by ranging ahead of the moving formation and seizing vital points in order to speed the overall rate of advance. Ideally, the front commander or Stavka representative would introduce multiple mobile groups into different penetrations to keep the enemy off-balance and continually unsure of Soviet intentions, making easier the defeat of the enemy in detail. During this period, the Soviets would employ air assets and airborne forces throughout the depth of the enemy’s defense to sow confusion, disrupt supply flow to the forward units, and to distract and pin reserves in place. While theoretically advanced, the Red Army of the 1930s and the early part of the war had no hope of executing a complex doctrine requiring such detailed and coordinated planning without sufficiently trained personnel and adequate equipment. It is apparent then that the theoretical background for the Red Army’s force structure already existed by the time of the purges. The concept of consecutive operations, the use of a mobile group separate from an assault group designed to penetrate an enemy’s tactical defense, the echelonment of forces to allow for sustained combat, the use of forward detachments, the coordination of a wide front of pursuit, and the use of closely linked combined-arms were all prewar concepts, established in the 1936 Field Service Regulations. The purges had dire results for the future. Not only did the officer corps suffer enormously high losses, but those remaining in positions of power in the military generally substituted loyalty to Stalin in place of operational talent. Combined with the hasty expansion of the Red Army in the years prior to the war, the 43,000 officers that were either killed, imprisoned, or dismissed created an extreme shortage of trained officers, especially in the upper ranks. With a sudden disappearance of educated officers, insufficient resources, and poorly trained troops, deep operations had far to go to be practiced on the battlefield. Fortunately for a small number of Red Army officers, the purges focused on personnel stationed in the West. It was in the Far East, near the Manchurian Border, that the Soviets first successfully practiced their prewar theories of the offensive in depth in August 1939. Led by the later famous Georgi Zhukov, the Red Army’s 57th Corps encircled and destroyed a Japanese infantry division, in a classic double envelopment across the Khalkin-Gol River that served to illustrate the validity of the deep operation as a maneuver doctrine. Unconvinced, members of the high command at Moscow pointed out that it took longer than expected to complete the destruction of the Japanese 23rd Infantry Division despite its encirclement and Soviet superiority in manpower and equipment. Whatever the interpretation, the Battle of Khalkin-Gol was in no small way a demonstration of the principles of PU-36, and a dazzling success when compared to any other Soviet operation in the period from 1939-1941. Caught in the midst of reorganization, unsupplied and only partially mobilized, the mechanized corps’ fate came quickly indeed. Analyses by the corps commanders show that these formations were in absolutely no condition to fight, and suffered deficiencies across the board in all areas. Reports by these commanders were heartbreaking; D.D. Lelyushenko, commander of the 21st Mechanized Corps, wrote of his corps, which suffered 60 percent casualties in the first month of combat. Small tank subunits (companies and platoons) during the offensive moved primarily on the roads and in column, one tank after another. When meeting with antitank artillery the lead tank was usually knocked out, and the remaining, instead of rapidly deploying to attack and destroy the enemy, became flustered, marked time in place, and often withdrew to the rear. Instead of massive and decisive attacks on the opposing enemy, regimental and division commanders, without need, sent out many different reconnaissance and security groups, dissipating their forces and weakening the tank blow. It was after a mere 24 days of combat, on 15 July 1941, that the Soviets deactivated the mechanized corps structure altogether, forming all the remaining armor in the Red Army into independent brigades and battalions, and attaching them directly to higher headquarters. By this time, several of them had already been destroyed, or had almost no equipment remaining. 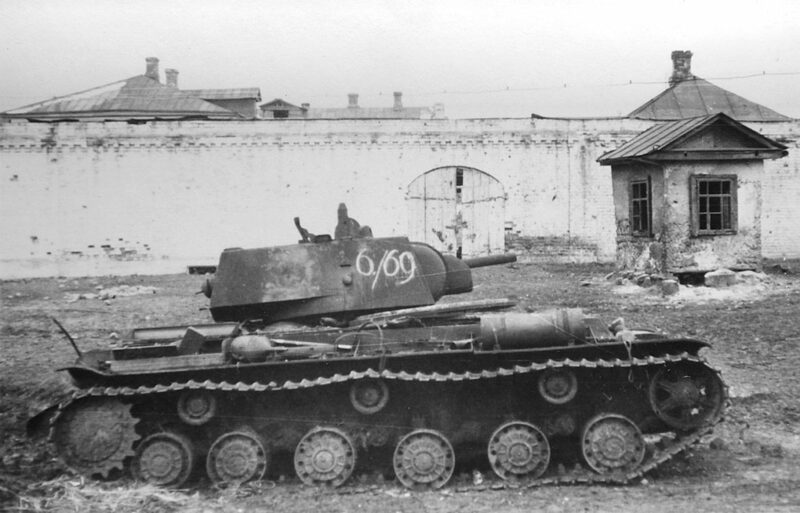 The fact that so many of the Soviets’ armored vehicles had been destroyed or captured forced them to adopt smaller, easier-to-control tank units which functioned in the roles of infantry support and anti-tank defense. The independent tank brigade and tank battalions would be the primary Soviet armor units through the Battle of Moscow and the Winter counteroffensive. The necessity to preserve specialist units for the most vital operations forced the Soviets to take what few armored, engineer, signal, anti-tank, anti-aircraft, and field artillery assets they and attach them to Stavka reserve. This system would remain throughout the war. The Red Army tightly centralized its precious specialists, since attaching them out to units in the sector of a main effort gave the attacking units greater flexibility and firepower to complete their missions. While the creation of the tank corps was a bold step toward reestablishment of large mobile formations in the Red Army, combat operations in the Kharkov sector proved that the Soviets still had plenty of room for improvement. The primary difficulty in the execution of the Kharkov offensive in May 1942 was the problem of operational coordination. Specifically, on neither the Northern or the Southern axes did the Southwestern Front release the mobile formations at the correct time. By failing to introduce the mobile groups soon enough to exploit the situation, the Soviets allowed the Germans to move their operational reserves to the front and reinforce their first echelon forces. As a result, instead of facing a disorganized enemy and countering his operational reserves piecemeal in meeting engagements, the Soviet tank and cavalry forces designated for exploiting the German positions found themselves fighting a second penetration battle against an organized defense, and suffering heavy casualties while doing so. While Rotmistrov was in Moscow, desperate battles for Southern Russia continued. In order to relieve pressure on troops defending on the Stalingrad axis and to divert forces from the 6th Army relief attempt, the Red Army planned an offensive against the Italian 8th Army, called Operation Little Saturn. During this offensive, the 1st and 3rd Guards Armies, reinforced with four tank and one mechanized corps, drove on vital points in the Italian rear area, meeting behind them and destroying the bulk of the Italian force. While the large part of the Italian 8th Army was never combat-worthy on the Eastern Front again, there were still serious problems in the execution of this offensive. Recurring problems in artillery coordination, logistical support, tank-infantry cooperation, and the prolonged penetration time of the enemy’s tactical defensive zone showed that, despite improvements, the Soviets could not yet consistently execute successful operations against a prepared enemy. 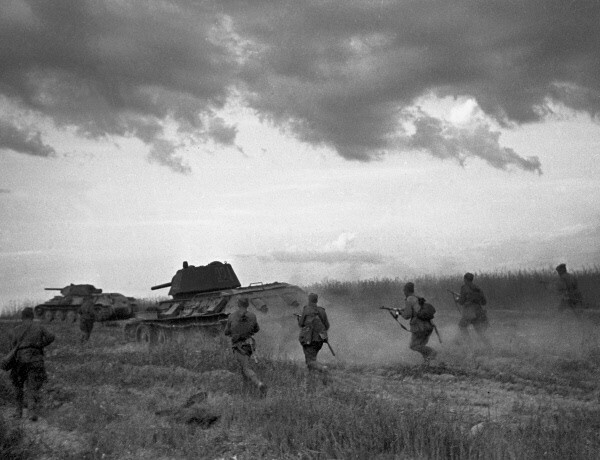 The Battle of Kursk in July 1943 demonstrated the flexibility of the new Soviet mechanized forces. Along with extensive preparations and excellent intelligence, the deployment of the 1st, 2nd and 5th Guards Tank Armies was critical to the Soviet success in this, the largest tank battle in history. With the newly organized and exceptionally mobile 1943-pattern tank army, the German offensives were met by powerful counterstrokes everywhere they advanced, and the offensive ground to a bloody halt. But the real blows to the Germans were yet to come. The other area where the armored and mechanized forces suffered was in the amount of radios available. Throughout the war, the Soviets had to depend on wire communications within their combined-arms formations, but the rapidly moving tank and mechanized corps were not so lucky. As a result, the mobile forces generally had weaker communications than in their Western counterparts. For example, in early 1944 the 5th Guards Tank Army, at full strength with two tank and one mechanized corps, had a mere 254 radios; this was less than that assigned to a single US armored division. Such weak radio communications reinforced by default the doctrine of decentralization of pursuing tank forces, as there was simply no way to guarantee that higher commanders could communicate with the tank armies and their subordinate units in combat. Worse still, the critical shortage of radio sets hampered air-ground communication, weakening the effectiveness of Soviet close-air support during the war. Throughout the Second World War, the Soviets advanced their practice of the operational art. During their Great Patriotic War, the Soviet mobile force structure went from a bulky, difficult to command force to the flexible, hard hitting, fast moving and independently acting organization that brought about the collapse of the German Army in the East, contributing decisively to the allied victory. These lessons were learned at tremendous cost to the Soviet Union, but the Red Army leadership was quick to learn them and apply their wartime lessons to their prewar theories to arrive at a force structure that was well suited to the war that they intended to fight. By the Summer of 1944, multiple-front strategic operations like Bagration and Lvov-Sandomirz became the norm for Soviet offensives, and the strategic-level pressure generated by these coordinated offensives completely unhinged the Germans across the front. The Red Army’s wartime restructuring of its mobile forces stemmed from the ability of Stavka and the Armored Directorate to create an organization that allowed the Soviets to fully employ their doctrine of deep operations. Soviet strategic reserves and the vastness of Russia bought the time that Stavka needed to reorganize to defeat its opponent, and costly failures and excessive casualties were the price of experience against an opponent that was all too skilled at warfare at the tactical and operational levels. The prewar theories of talented officers like Tukhachevsky and Triandafillov, reinforced by the cruel experiences of war, formed the basis for changes to the Red Army’s mechanized forces. Rising from the ashes of the catastrophic defeats of 1941 came a mechanized force that was unparalleled in its flexibility and coordination at the highest levels of war. That the Soviets could successfully conduct the reorganization of their mobile troops during the desperate years of 1941 and 1942 showed a high degree of determination and ability to adapt to a complicated situation, traits that eventually brought victory to the Soviet Union in the Great Patriotic War. Source: Charles Sharp, The Deadly Beginning: Soviet Tank, Mechanized, Motorized Divisions and Tank Brigades of 1940-1942. Soviet Order of Battle in World War II, vol. 1. Sources: Charles Sharp, Soviet Order of Battle in World War II Vol 1: The Deadly Beginning: Soviet Tank, Mechanized, Motorized Divisions and Tank Brigades of 1940-1942. David Glantz, The Initial Period of War on the Eastern Front, 22 June – August 1941, 19. 5 Tank Regiments with 20 Tank Battalions. 4 Motorized Rifle Regiments with 12 Motorized Rifle Battalions. 2 Motorized Artillery/Howitzer Regiments with 4 Artillery Battalions. Source: Charles Sharp: School of Battle. Soviet Tank Corps and Tank Brigades, January 1942 to 1945, Soviet Order of Battle in World War II, vol. 2. F.W. von Mellenthin, Panzer Battles (New York: Ballantine Books, 1956), 361. David Glantz, Soviet Military Operational Art: In Pursuit of Deep Battle (Portland: Frank Cass, 1991), 21. Walter Dunn, Hitler’s Nemesis: The Red Army, 1930-1945 (Westport: Praeger, 1994), 11-12. V. Ye. Savkin, The Basic Principles of Operational Art and Tactics (A Soviet View) (Washington: Government Printing Office, 1975), 40-41. V.K.Triandafillov, The Nature of the Operations of Modern Armies, William Burhams, trans. (Portland: Frank Cass, 1994), 9, 30. Charles Sharp, Soviet Order of Battle World War II Volume I: “The Deadly Beginning,” Soviet Tank, Mechanized, Motorized Divisions and Tank Brigades of 1940-1942 (Privately Published, G.F. Nafziger, 1995), 2-3. Edward Drea, Nomonhan: Japanese-Soviet Tactical Combat, 1939 (Fort Leavenworth: US Army Command and General Staff College, 1981), 91-95. Richard Simpkin, trans. and ed., Provisional Field Service Regulations of the Workers’ and Peasants’ Red Army, 1936, in Deep Battle: The Brainchild of Marshall Tukhachevsky (London: Brassey’s Defence Publishers, 1987), 182. Earl F. Ziemke, “The Soviet Theory of Deep Operations,” Parameters vol XIII no 2 (1983), 24. Alan Bullock, Hitler and Stalin: Parallel Lives (New York: Vintage Books, 1993), 489. Alvin Coox, Nomonhon: Japan against Russia, 1939 (Stanford: Stanford University Press, 1985), 999. Jonathan House, Toward Combined-Arms Warfare: A Survey of 20th Century Tactics, Doctrine, and Organization (Fort Leavenworth: U.S. Army Command and General Staff College, 1984), 69. Carl Van Dyke, The Soviet Invasion of Finland, 1939-40 (London: Frank Cass Publishers, 1997), 196. David Glantz, Stumbling Colossus: The Red Army on the Eve of World War (Lawrence: University Press of Kansas, 1998)., 116. Sharp, The Deadly Beginning, 50. David Glantz, trans. and ed., “Doklad komandira 21-go mekhanizirovanogo korpusa komanduiushchemu 27-i armii o sostoianii korpusa na 23 iiulia 1941 g,” [A report by the commander of 21st Mechanized Corps to the commander of 27th Army concerning the corp’s condition on 23 July 1941] in Stumbling Colossus, 128. David Glantz, trans. and ed., “Doklad komandira 32-i divizii nachal’niku avtobronetankovogo upravleniia iugo-zapadnogo fronta o boevykh deistviiakh divizii za period s 22 iiunia po 14 iiulia 1941 g.” [A report of the 32nd Tank Division commander to the chief of the Southwestern Front Armored Directorate about division combat operations from 22 June through 14 July, 1941] in Stumbling Colossus, 132. David Glantz, trans. and ed., “Prikaz komanuiushchego 20-i armiei no. 7 ot 8 iiulia 1941 g. o nedostatkakh, yiavlennykh v 5-m i 7-m mekhanizirovannykh korpusakh v khode dvukhdnevnykh boev,” [Order no. 7 of the 20th Army commander, dated 8 July 1941, about the shortcomings revealed in 5th and 7th Mechanized Corps during the two-day battle], in Stumbling Colossus, 133. Ronald Wright, “Halting the Blitzkrieg: June 1941 – November 1942,” in Historical Analysis the Use of Mobile Forces by Russia and the USSR (College Station: Center for Strategic Technology, 1985), 227. Albert Seaton, Battle for Moscow (New York: Sarpedon, 1971), 211. Yeremenko’s 117th Tank Battalion had 12 Lend-Lease Matilda IIs, 9 Valentines, and 10 T-60s, while his 141st Tank Battalion had 4 KVs, 6 T-34s, and 20 T-60s. John Erickson, The Road to Stalingrad (New York: Harper and Row, 1975), 309. David Glantz, David. Kharkov 1942: Anatomy of a Military Disaster (New York: Sarpedon, 1998), 72. Charles Sharp, Soviet Order of Battle World War II Volume 3: “Red Storm,” Soviet Mechanized Corps and Guards Armored Units 1942 to 1945 (Privately Published, G.F. Nafziger, 1995), 4-5. David Glantz and Jonathan House, When Titans Clashed: How the Red Army Stopped Hitler (Lawrence: Universty Press of Kansas, 1995), 102-103. Richard Armstrong, Red Army Tank Commanders: The Armored Guards (Atglen: Schiffer Publishing Ltd., 1994), 26-27. Antony Beevor, Stalingrad: The Fateful Siege: 1942-1943 (New York: Viking, 1998) 239-243, 248-249. F. Ye. Bokov, “A Conference at Headquarters on the Reorganization of the Tank Army,” in Voyenno-Istoricheskiy Zhurnal (Moscow: No. 3, 1979), 38. V Karpov, “The Front in Wartime Strategic Operations,” in Voyenno-Istoricheskiy Zhurnal (Moscow, August 1981), 27. Glantz, From the Don to the Dnepr: Soviet Offensive Operations December 1942-August 1943 (Portland: Frank Cass, 1991), 18-25. David Glantz, The Soviet Conduct of Tactical Maneuver: Spearhead of the Offensive (Portland: Frank Cass, 1991), 2. Ya. Malinovsky and O. Losik, “Methods of Conducting Highly Maneuverable Combat Operations of Armored and Mechanized Troops from the Experience of the Belorussian and Vistula-Oder Operations,” Voyenno-Istoricheskiy Zhurnal (Moscow) no. 9 (1980), 24. Charles Sharp, Soviet Order of Battle in World War II Vol 2: School of Battle: Soviet Tank Corps and Tank Brigades, January 1942 to 1945 (Privately Published: G.F Nafziger, 1995), 94. Glantz, in From the Dnepr to the Vistula, 298. P. Kurochkin, “Operations of Tank Armies in Operational Depth (From World War II Experience)” VM (Moscow), no. 11 (1964) 70. Also see note 3, pages 5-6. House, 124-125. Adair, Paul. Hitler’s Greatest Defeat: The Collapse of Army Group Center, June 1944. London: Arms and Armour Press, 1994. Armstrong, Richard. Red Army Tank Commanders: The Armored Guards. Atglen: Schiffer Publishing Ltd., 1994. Beevor, Antony. Stalingrad: The Fateful Siege: 1942-1943. New York: Viking, 1998. Bullock, Alan. Hitler and Stalin: Parallel Lives. New York: Vintage Books, 1993. Carell, Paul. Hitler Moves East 1941-1943. Boston: Little, Brown, and Company, 1963. Chaney, Otto. Zhukov. Norman: University of Oklahoma Press, 1996. Chuikov, Vasili. The Beginning of the Road. London: Macgibbon & Kee, 1963. Clark, Alan. Barbarossa: The Russian-German Conflict, 1941-45. New York: Quill, 1965. Coox, Alvin. Nomonhan: Japan against Russia, 1939. Stanford: Stanford University Press, 1985. Drea, Edward. Nomonhan: Japanese-Soviet Tactical Combat, 1939. Fort Leavenworth: US Army Command and General Staff College, 1981. Duffy, Christopher. Red Storm on the Reich: The Soviet March on Germany, 1945. New York: Da Capo Press, 1993. Dunn, Walter. Hitler’s Nemesis: The Red Army, 1930-1945. Westport: Praeger, 1994. Erickson, John (ed.). Main Front: Soviet Leaders Look Back on World War II. London: Brassey’s Defence Publishers, 1987. Erickson, John. The Road to Stalingrad. New York: Harper and Row, 1975. Erickson, John. The Road to Berlin. Boulder: Westview Press, 1983. Glantz, David, ed. From the Don to the Dnepr: 1984 Art of War Symposium. Carlisle, PA: US Army War College, 1985. Glantz, David, ed. From the Dnepr to the Vistula: 1985 Art of War Symposium. Carlisle, PA: US Army War College, 1985. Glantz, David. From the Don to the Dnepr: Soviet Offensive Operations December 1942-August 1943. Portland: Frank Cass, 1991. Glantz, David, ed. The Initial Period of War on the Eastern Front: 22 June – August 1941. London: Frank Cass, 1993. Glantz, David. Kharkov 1942: Anatomy of a Military Disaster. New York: Sarpedon, 1998. Glantz, David. The Soviet Conduct of Tactical Maneuver: Spearhead of the Offensive. Portland: Frank Cass, 1991. Glantz, David. Soviet Military Operational Art: In Pursuit of Deep Battle. Portland: Frank Cass, 1991. Glantz, David. Stumbling Colossus: The Red Army on the Eve of World War. Lawrence: University Press of Kansas, 1998. Glantz, David and House, Jonathan. 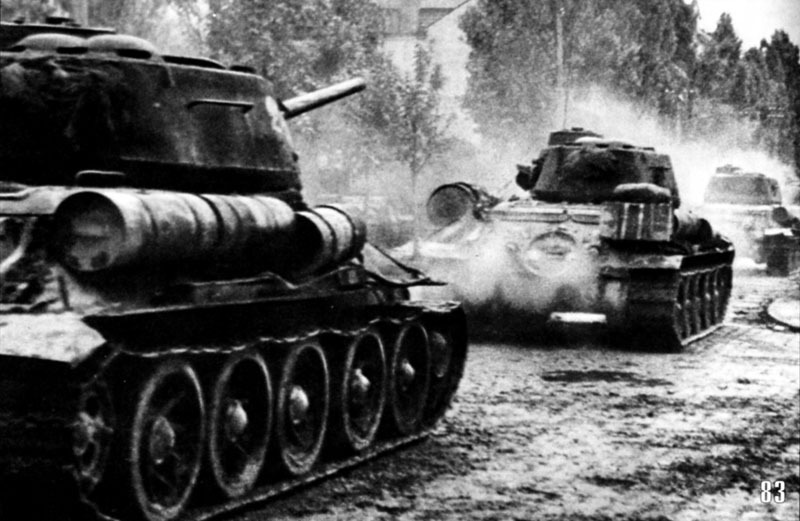 When Titans Clashed: How the Red Army Stopped Hitler. Lawrence: University Press of Kansas, 1995. Grechko, A.A. The Armed Forces of the Soviet State. Washington, DC: US Government Printing Office, 1975. House, Jonathan. Toward Combined-Arms Warfare: A Survey of 20th Century Tactics, Doctrine, and Organization. Fort Leavenworth: U.S. Army Command and General Staff College, 1984. Kip, Jacob, and others, eds. Historical Analysis of the Use of Mobile Forces by Russia and the USSR. College Station: Center for Strategic Technology, 1985. Leonhard, Robert. The Art of Maneuver. Novato, California: Presidio, 1991. Mellenthin, F.W. von Panzer Battles. New York: Ballantine Books, 1971. Rokossovsky, Konstantin. A Soldier’s Duty. Moscow: Progress Publishers, 1970. Savkin, V. Ye. The Basic Principles of Operational Art and Tactics. Washington, DC: US Government Printing Office, 1972. Seaton, Albert. The Battle for Moscow. New York: Sarpedon, 1971. Seaton, Albert. The Russo-German War 1941-45. Novato: Presidio Press, 1971. Sharp, Charles. Soviet Order of Battle World War II Volume I: “The Deadly Beginning,” Soviet Tank, Mechanized, Motorized Divisions and Tank Brigades of 1940-1942. Privately Published: G.F. Nafziger, 1995. Sharp, Charles. Soviet Order of Battle in World War II Vol II: School of Battle: Soviet Tank Corps and Tank Brigades, January 1942 to 1945. Privately Published: G.F Nafziger, 1995. Sharp, Charles. Soviet Order of Battle World War II Volume 3: “Red Storm,” Soviet Mechanized Corps and Guards Armored Units 1942 to 1945. Privately Published: G.F. Nafziger, 1995. Simpkin, Richard. Deep Battle: The Brainchild of Marshall Tukhachevsky. London: Brassey’s Defence Publishers, 1987. Svechin, Aleksandr. Strategiia. Moscow: Voennyi vestnik, 1927. Triandafillov, V.K. Burhams, William, trans. The Nature of the Operations of Modern Armies. Portland, Oregon: Frank Cass, 1994. Van Dyke, Carl. The Soviet Invasion of Finland, 1939-40. London: Frank Cass Publishers, 1997. Vitukhin, Igor. Soviet Generals Recall World War II. New York: Sphinx Press, 1981. Zhukov, Georgi. From Moscow to Berlin: Marshal Zhukov’s Greatest Battles. Newport Beach, California: Noontide Press, 1991. Ziemke, Earl and Bauer, Magna. Moscow to Stalingrad: Decision in the East. Washington, DC: U.S. Government Printing Office, 1986. Ziemke, Earl. Stalingrad to Berlin: The German Defeat in the East. Washington, DC: U.S. Government Printing Office, 1968. Bokov, F. Ye. “A Conference at Headquarters on the Reorganization of the Tank Army.” Voyenno-Istoricheskiy Zhurnal (Moscow), no. 3 (1979), 38-41. Karpov, V. “The Front in Wartime Strategic Operations.” Voyenno-Istoricheskiy Zhurnal (Moscow), August (1981), 19-25. Kurochkin, P. “Operations of Tank Armies in Operational Depth (From World War II Experience).” Military Thought (Moscow), no. 11 (1964). Malinovsky, R. Ya. and Losik, O. “Methods of Conducting Highly Maneuverable Combat Operations of Armored and Mechanized Troops from the Experience of the Belorussian and Vistula-Oder Operations.” Voyenno-Istoricheskiy Zhurnal (Moscow) no. 9 (1980), 18-25. Ziemke, Earl. “The Soviet Theory of Deep Operations.” Parameters, vol XIII no 2 (1983), 23-33.